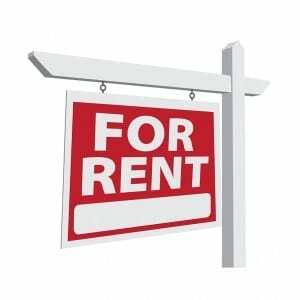 Not Sure Who is Renting in Your Condo or Homeowner Association? Having Trouble Getting Control of Tenants and Leasing Information? Beacon Management offers a complete solution at NO COST to the association that gives the Board immediate control over tenant tracking and compliance. Read More About TenantTrack Plus! Too Many Tenants May Affect your Property Values? Beacon Management offers a complete solution that doesn’t cost the association anything and gives the Board immediate control over tenant tracking and compliance. Your Association Needs TenantTrack Plus. The most comprehensive system available to administer the leasing process for your association. More importantly, it doesn’t cost your community anything to use TenantTrack Plus! The investor owned units are assessed a minimal charge on an annual basis as long as they lease the unit. Property Values May Suffer – we have all seen communities overrun with rentals. While leasing is not inherently a bad thing, it does present certain issues for an association. If you have too many rental properties in a neighborhood of single-family homes or townhomes, it can cause property prices to stagnate or even drop. That’s because tenants don’t always maintain homes to the level that owners who actually live in the property do. When homes get rundown, the whole neighborhood suffers.If you live in a condo association with too many rentals, your community could have an issue with future buyers obtaining financing. The Board needs accurate leasing information in order to stay compliant with standards required for FHA financing. Lack of Proper Insurance – what happens if a renter causes damage to the common area and doesn’t maintain appropriate insurance to cover the incident? The association would bear the cost of repairs and possibly an increase to their premium if a claim is filed. Control/Access – how can you control an illegal renter’s access to the amenities, such as the pool and fitness center? This is a great question, and one that poses certain challenges. Condos have an easier time if they use an access control system that provides the contact information for every owner. If there are issues with cars: speeding, parking, etc., then compliance helps identify the appropriate owner of the vehicle. Safety, Awareness and Involvement – if you don’t know who your renters are, you have no way to contact them to let them know about: potential issues, emergency procedures, community news, projects, events, etc. Click here for a more information about how your community can benefit from TenantTrack Plus!